Prepare to support your audience. A big part of launching a new product like a cryptocurrency involves educating and supporting your audience. Especially if your product does something new, you will need to plan ahead and cover as many bases as possible in order to help your potential investors and customers in whatever leaves them puzzled. 1. Develop written guides and video content to answer commonly asked questions. If one person becomes confused about a part of your product, it is likely that many others will as well and you do not want to answer every question individually. Written instructions help immensely but we recommend guiding your audience using video. It will show them exactly how to invest, how to solve a common problem, and more. 2. Make sure you have an educated community management team in place and prepared to respond in a timely manner. The last thing you want is to be knee-deep in (potential) customer complaints, especially when you are new. First, ensure you have the resources in place to manage the inquiries, responses, and associated tracking. We always suggest locking in available team members in different time zones in case you need global, in-language, and/or 24/7 moderation. In addition to staffng, you should use your FAQ templates as a base for personalized responses. You should also have a response protocol and a triage plan in place. Without this preparation, users may experience lengthy response times and become irate. In some cases, these angry customers will interpret your nonresponse as duping them into a scam and may go public with their opinions. 3. Develop your platform/channel strategy. Make sure you know where your audience is already congregating and ensure you have a content plan in place. Unlike traditional markets, cryptocurrency investors tend to congregate on specific social media platforms including Twitter, Telegram, Steemit, Reddit, and more. These channels provide a quick and easy platform to reach your mass audience. Make sure you consistently leverage company news, updates, and other promotional materials within these channels to ensure your audience stays in the loop. 4. Devise a course of action in case the process does not go as planned. We know it’s not pleasant to think about things going wrong. With cutting-edge technology and ideas, though, things don’t always go as planned. What if users encounter a technical glitch? What if your website gets hacked and crashes? The more you can prepare, the less time, money, and effort you will lose if something goes wrong. You won’t regret planning ahead! 5. Introduce your core team to your audience and have your leaders speak in public to enhance investor confidence. Potential investors want assurance that your leaders know what they are doing with their money. Make sure your leaders have a public profile that explains their role in the company. In addition, leaders can speak to their specific knowledge at conferences, write blog posts, perform interviews, and get quoted in articles on legitimate publications to raise the company’s reputation and investor confidence. 6. Be transparent about what you will do with the money you raise from your ICO. Criticisms abound today when cryptocurrency companies raise record-breaking amounts of money in short periods of time. Common among these criticisms is the speculation that founders will keep the money for themselves to support lavish lifestyles instead of investing back into the company and product. Keep your audience informed of the progress of your product with content like development roadmaps and plans in order to assuage those criticisms. 7. Make sure your legal protocols are air tight. While there has historically been relatively little regulation in the cryptocurrency space, there are still many legal aspects to ICOs that should be clearly stated to the public prior to book opening. These legal aspects vary by country and rapidly change as regulations become a reality. Even if these terms and conditions are unfavored by the ICO marketing team, they should be treated as a necessity that will cover the company if anything goes wrong. 8. Find your biggest fans and encourage them to help other customers. As of this writing, cryptocurrency and blockchain investors are primarily comprised of people with specialized and technical knowledge that goes far deeper than your average consumer. To find someone with that knowledge who believes in your product is to find a ready-made ambassador who can (and probably already does) help other potential investors. These ambassadors can answer questions and promote your product to their own audiences on your behalf. 9. Gather testimonials from legitimate and well-known veterans in the space who support your project. Third party testimonials often outweigh fan endorsement, providing credibility to the company, project and ICO in question. These testimonials can come from investors, partners and other notable parties involved in the project. Ensure these people and companies have clean reputations before promoting their testimonial, as you don’t want their support to counteract your efforts. 10. Make security a top priority! Even if your ICO is not a scam, there are scammers out there who will try to take advantage of your ICO. Hackers are using the popularity of ICOs as a new mechanism to misinform the public and steal funds. 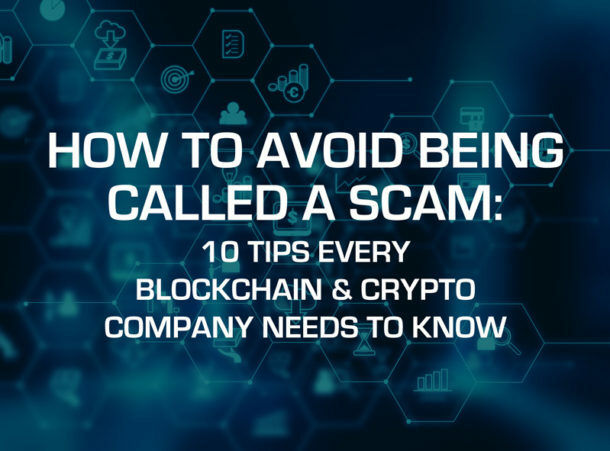 Scammers will often assume an identical or nearly-identical user name and icon image on social media channels, refer potential investors to convincing fake websites, and offer their own wallet address to receive funds. Make sure you have a technical team in place to secure your ICO and constantly monitor for hackers. To get help with any or all of these points, send us a message! 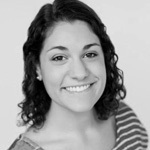 Alexa Alioto is an experienced Content Director with experience in helping Spark’s cryptocurrency and blockchain clients launch. As a strong communicator and strategist, she works with clients to develop their brands and drive measurable business results. Kira Colburn is an Account Executive at Spark specializing in blockchain, venture capital, and fintech. 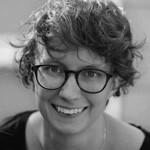 She drives daily PR initiatives including media relations, thought leadership development, and content creation. 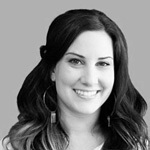 Vanessa Zucker is Spark’s agency Marketing Manager with experience helping blockchain and cryptocurrency clients launch social, content, and ambassador programs. She merges creativity with analytical thinking and organization in order to create unique, quality content.